Learn to Prepare to Work Safely in the Construction Industry (White Card) with RMS Training. 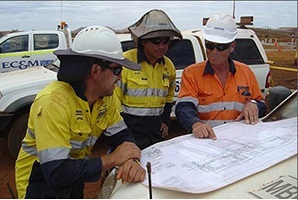 This course is a general health and safety induction aimed at the construction industry which provides vital safety awareness for people working on construction sites in Western Australia. It is for anyone who is considering or is working on a construction site in Western Australia. Participants will also learn about their rights to refuse work, resolution of workplace issues, how to apply workplace policies and procedures and reporting & documentation requirements.